Next Level - Festival for Games — Evoke – Enjoy Demoscene as much as we do! 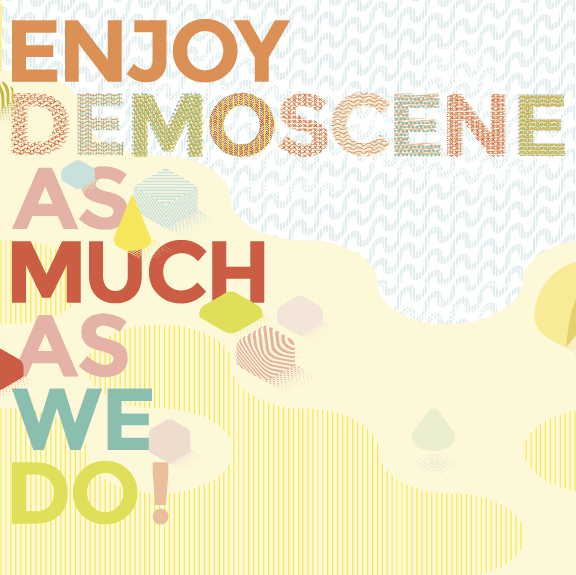 Evoke – Enjoy Demoscene as much as we do! Every year around August it is time to enjoy the last few days of summer in Cologne. Join us in our annual celebration of Demos, Intros, Wilds and the Demoscene in general in Köln-Kalk. Like it used to be in the years before we again meet up in the AbenteuerhallenKALK on the weekend from 8th to 10th of August to enjoy digital art, music, the barbecue and (last but not least) the company of all you folks that share the same mind. The regular ticket is available at 35 Euro, girls get in for free (they are allowed to pay 35 Euro, though). There are no single day tickets, and no rebates if you come earlier, later or without a computer. The tickets will be sold at the party only. Paying in advance is not possible or required (except for the Supporter Ticket). Please notice that this is neither a gaming event nor a leech/copy party. If these are your aims, you better stay at home. You can buy a supporter ticket if you'd like to help Evoke. You will receive a correct invoice for your payment and a shirt once you arrive at the party. The price for the ticket is 200 Euro. Please contact us in advance if you would like to buy this ticket.